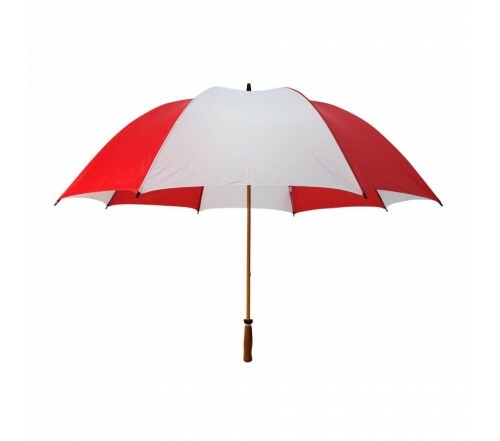 Customized red & white 64” arc Mulligan golf umbrellas are mostly employed by companies labeled as “Corporations”. The combination of red and white is largely pursued by marketers because it helps to add conviction to their business messages. This is why we process large orders for logoed promotional red & white 64” arc Mulligan golf umbrellas for multinational businesses such as energy, gas, bioengineering, etc. 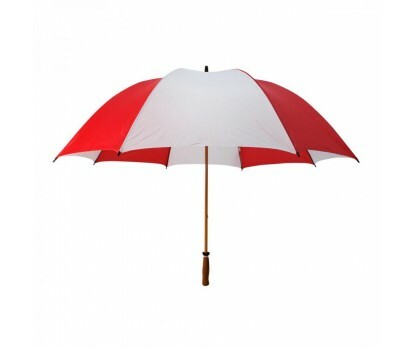 Personalized red & white 64” arc Mulligan golf umbrellas can be employed for representative purposes or it can be gifted out to the esteemed customers during a festive season or some special business occasions. Features –strong & sturdy fiberglass construction for ribs & shaft, duraflex wind proof construction, large 64” arc red & white canopy & wooden grain handle.